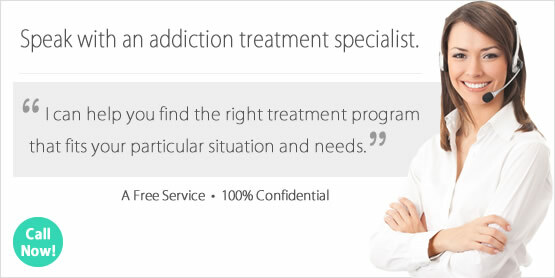 Looking for a Drug Rehab or Alcohol Treatment Center in Connecticut? There are reasons that someone can stop a substance abuse problem on their own, and it isn't because they're a bad person. Everyone is worthy of help and deserves to receive the most effective help possible in a drug rehab program in Connecticut. So when someone you care about has a drug or alcohol problem, don't give up on them even when past efforts have failed. Speak with a drug treatment counselor in Connecticut today to find out which drug rehab program is going to be the best program, and to receive any guidance and support you need to get someone you care about into the best program as soon as possible. In a single-day count in 2013, 33,267 individuals in Connecticut were enrolled in some type of substance use treatment. This was an increase from 24,831 individuals in 2009. Among residents enrolled in treatment that year, 50.0% were in treatment for drug use only, 12.2% were in treatment for alcohol use only, and 37.8% were in treatment for both drug and alcohol use. The largest percentage of residents were there for abuse or dependence to heroin, with nearly 33% of treatment admissions being addicted to the powerful opiate. "Other opiates" is a category which also stands out, with nearly 5% of treatment admissions citing prescription opiates as their drug of choice. When put into the same category, heroin and other opiates comprise nearly 40% of treatment admissions in the state, a devastating and shocking figure. Alcohol is one of the biggest drug problems in Connecticut, and as discussed earlier 12.2% were in treatment for alcohol use only, and 37.8% were in treatment for both drug and alcohol use in 2013. So on most occasions, clients will need to address a poly-drug problem and alcohol treatment isn't only focused on alcohol. So most drug rehab programs in the state are well equipped and experienced in treatment poly-drug use problems and alcohol as one in the same. Because programs such as AA and other 12-step model programs are so popular, this is the first place many residents look to for help in the state. Surprising, long-term success rates of such programs are not very high, 10% at the most. There are programs who provide alternative treatment however, or additional treatment beyond the 12-step approach that is more scientifically driven. There are around 156 outpatient drug treatment programs in Connecticut. It should come as no surprise that over 40 of these outpatient facilities provide opiate maintenance services, and administer prescription drugs such as methadone and buprenorphine to clients who are opiate dependent and don't feel that can stop taking opiates without relapsing. There were nearly 15,700 outpatient clients participating in opiate maintenance services in the state as of 2013, a staggering number which also accounts for nearly half of the total number of clients in any type of treatment in the state. This approach works only to curb withdrawal and stop cravings, but it doesn't resolve the dependence issues in any way. This should always be kept in mind before beginning opiate maintenance services. There are people who have stopped a heroin or pain pill addiction without the use of these drugs, but it takes intensive treatment, drastic changes in one's lifestyle and environment, etc. There are also 135 regular outpatient drug rehabs in Connecticut which deliver treatment just one day per week, where individuals typically take part in individual and group counseling and therapy services. There are 90 of these programs which also offer more intensive treatment for several days per week, and these programs also provide traditional therapy and counseling but some provide alternative treatment as well, such as behavioral modification and motivational therapy and some are able to offer dual diagnosis treatment for individuals with a co-occurring mental health disorder. Day treatment/partial hospitalization drug rehab in Connecticut takes place in 26 facilities, facilities which provide an environment that is more conducive to a successful treatment process for clients with more extensive addiction issues and those with a dual diagnosis. There are 14 inpatient programs in Connecticut, and 59 non-hospital residential drug rehab programs which provide both short and long term treatment. Inpatient and residential treatment programs in Connecticut are the most ideal environment when outpatient rehab has been unsuccessful, and for chronic long term addicts this should really be the first solution looked upon when attempting to overcome a drug problem. Comprehensive treatment plans focus a client's daily activities in the program, where they can have their full attention on treatment in a supportive and drug free environment. What does Inpatient Rehab in Connecticut Involve? Inpatient and residential non-hospital drug rehab clients in Connecticut participate in either a short term 30-day program or a long term program. Long term programs can last anywhere from 60 days to several months, depending on the needs which must be met on an individual basis and what the treatment program strives to achieve for each client. The longer someone remains in treatment, the better their chances of remaining off of drugs and alcohol. Clients in an inpatient and residential non-hospital drug rehab in Connecticut can expect to take part in substance abuse counseling and other activities to encourage relapse prevention, cognitive behavioral therapy, motivational interviewing, anger management, trauma-related counseling, and the like. Most of the inpatient treatment in Connecticut will include mental health assessments, and when a dual diagnosis has been made treatment counselors will add additional steps to an already comprehensive treatment plan to make sure the mental health needs of the patient are adequately addressed before they complete treatment for their addiction. What does Outpatient Rehab in Connecticut Involve? The intensity of which outpatient treatment in Connecticut is delivered can vary greatly, from very little intensity to 7 days a week. If taking part in a program which focuses on group treatment, such as focus groups, treatment is centered on counseling that enables clients to receive support and guidance from their peers in addition to their treatment counselor. Individuals counseling is obviously more intimate, and allows clients to open up about things which they may not feel comfortable opening up about in a group setting. As discussed earlier, outpatient opiate maintenance services are also available in the state.